Designed by London-born architect Charles D’Ebro (1850-1920), Stonington was built for John Wagner, owner and founding partner of the Victorian branch of transport company Cobb & Co. Named after Stonington in Connecticut, USA, the birthplace of Wagner’s wife, Mary, this huge Boom style, two-storey mansion shares possible design connections to the elaborate German 19th-century Villa Knoop, Bremen (1873-76), designed by JG Poppe. However, D’Ebro’s repertoire of buildings in mannerist compositional style paralleled rather than mimicked German contemporary architecture. At Stonington, the French Second Empire roofscape of steep pitches and areas of concentrated Baroque detail and massing indeed suggest the exaggerated intensity of 19th-century Continental classicism. On the ground floor were vast entertaining rooms giving onto an arcaded loggia/veranda. Upstairs were bedrooms. 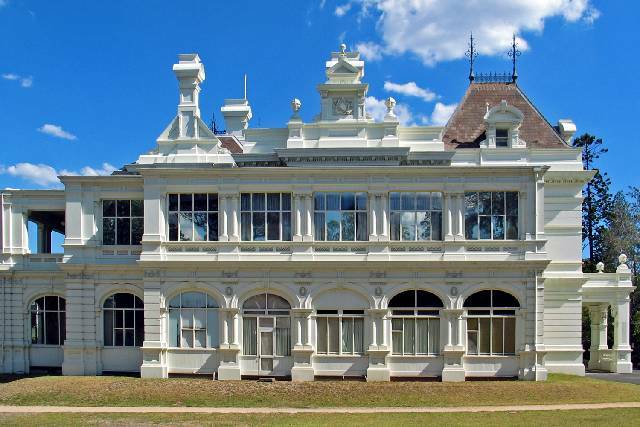 A double-storey servants and service wing added further volume to the imposing bulk of the stuccoed mansion. 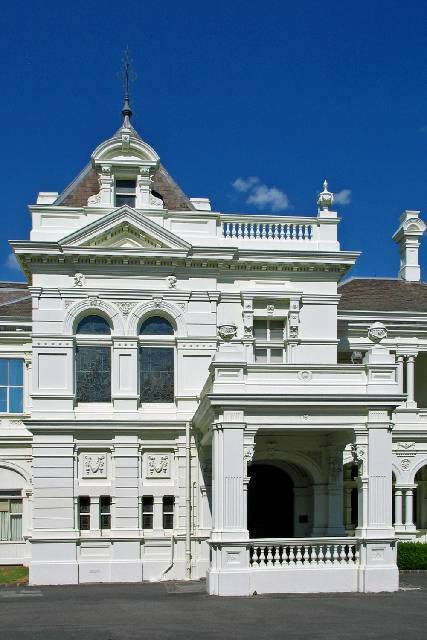 Between 1901 and 1931, when the federal parliament was located in Melbourne and the Governor-General resided at Government House, Stonington was, from 1901 to 1932, used as Victoria’s vice-regal residence and its name changed to ‘Stonnington’. Subsequent uses have been St Margaret’s Girls School (1931-38 ), hospitals and administrative centre (1938-57), Toorak Teachers College (1957-73) and the State College of Victoria (1973-92). 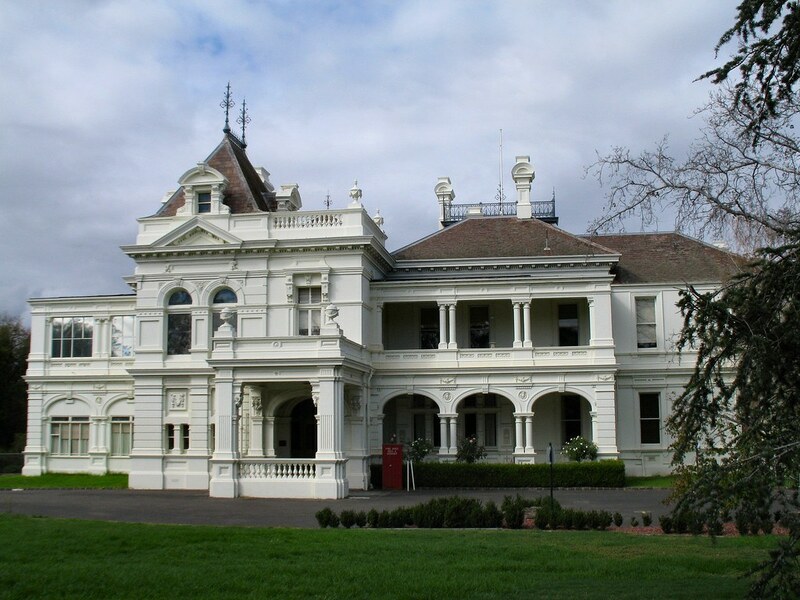 Since 1992, it has been Deakin University’s Melbourne administrative headquarters. Recent photograph by Dean below showing balconies filled in. 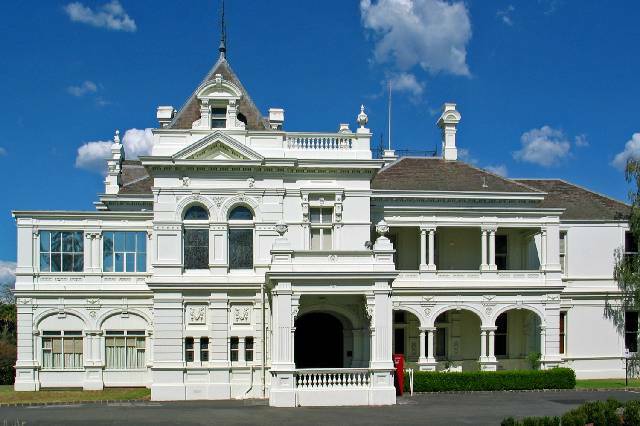 By 2006 the Stonington campus became surplus to Deakin University's requirements, and was placed up for sale. This created a protest from local residents, who believed the property should be retained by a government body. In December 2006, the three-hectare property was sold for $33 million to a joint venture between Hamton Property Group and Industry Superannuation Property Trust. In June 2007, businessman and former President of the Liberal Party in Victoria, Michael Kroger announced that he and other Australian businessmen, a group dubbed the "Melbourne Lodgers", would examine properties in Melbourne for the Prime Minister of Australia to use as a residence while in that city. Kroger stated that Stonington was the most sought-after residence on that list. 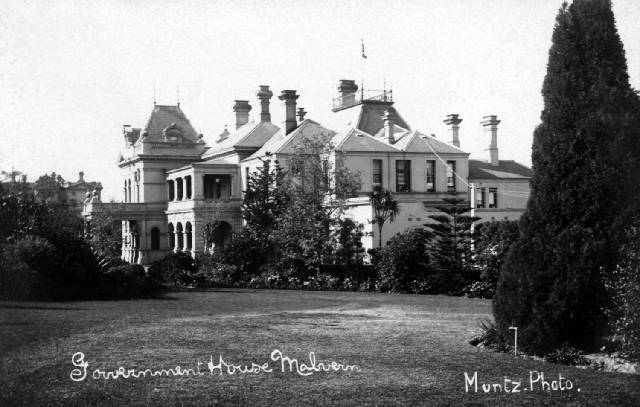 In August 2007 the 1.3-hectare site, comprising the mansion, gatehouse and 3 acres (12,000 m2), were conditionally sold to art dealer Rodney Menzies for about $18 million, as a private residence. Three recent shots I’ve taken of Stonington.